The Samsung Galaxy X may be the first folding phone to arrive but it might not be the best if the latest Motorola Razr folding phone tease is anything to go by. 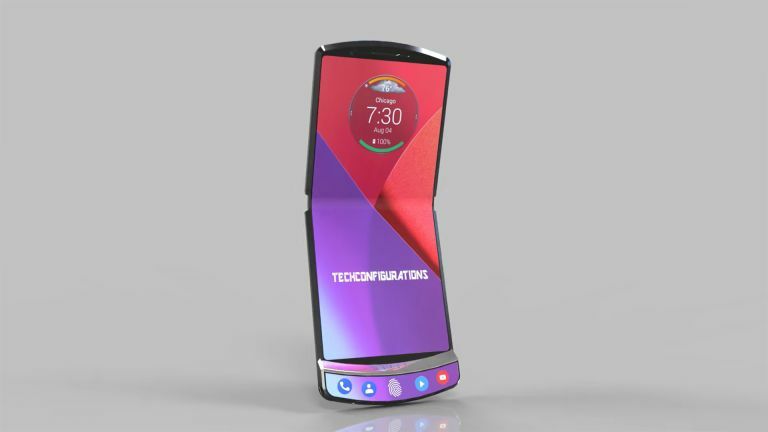 Motorola has already been leaked as working on a foldable smartphone that should reinvent the clamshell design of the Razr that made the company legendary. Now a patent has appeared on the USPTO which shows just what Motorola appears to be working on. The exciting thing about this patent is that the screen is described as one giant display that folds entirely over. That should mean a nice small and portable clamshell phone in the pocket which folds out into a huge screened device, larger than most current handsets, theoretically at least. According to this concept video, which was posted to YouTube in March 2018 by smartphone renderer TechConfigurations, we can hope for a 7-inch QHD AMOLED display with 18:9 aspect ratio and HDR10 support. This is likely the same screen being made by Samsung for its Galaxy X, or Galaxy F, as it may be called. While Samsung has made it clear that it wants to be first to release a folding phone, expect Motorola, Huawei and maybe even Apple and LG to follow soon after. Samsung should release the Galaxy X around late February 2019.